Prices ranging from only $150k-$175k!! Gorgeous New Condo Building on Santa Marianita Beach! Live The “Kite Beach” life! 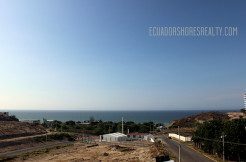 This beautiful new beach front project in Santa Marianita (aka “Kite Beach”) is a 5 story, 9 unit condo building designed to provide plenty of open living space and harmonize with your enjoyment of the beach environment, in a private resort style setting just a few meters from the beach! 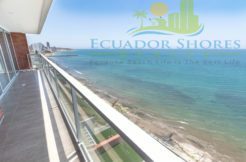 The building was designed by a team of Canadian and Ecuadorian architects and builders with high quality materials and beautiful unobstructed ocean views as the top priorities. 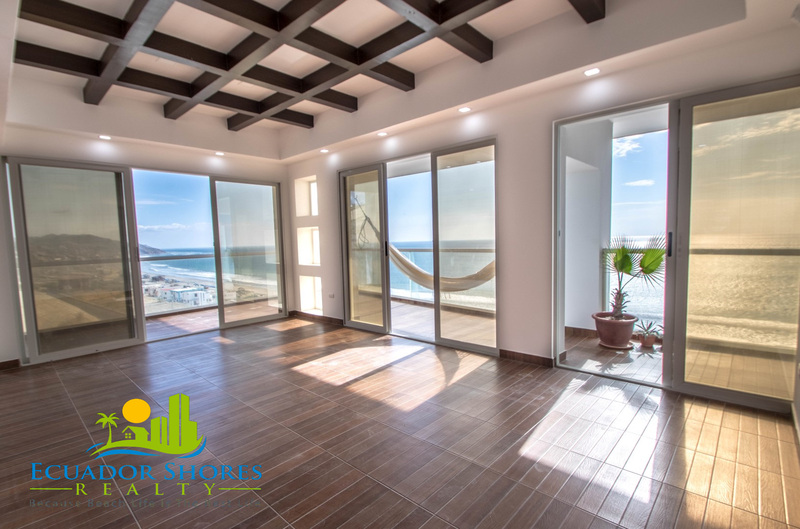 Each 2 bedroom unit offers a full unobstructed view facing the ocean so you can enjoy the beach life in ultimate comfort and style. 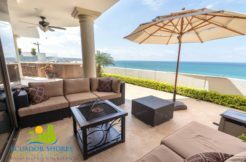 The project has a private pool for owners enjoyment as well as outdoor BBQ area and shaded canopy to enjoy the fresh sea breezes while relaxing with your favorite book or ice cold beverage. 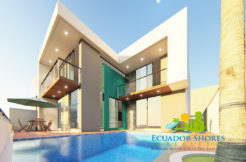 We offer two different models (both are 2 bedrooms), 5 units sized at 130 meters squared (1400 square feet), and 4 units sized at 100 meters squared (1076 square feet). 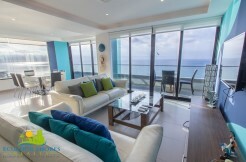 The price of the larger condo is $180,000 US and the smaller one is offered at $150,000 US. There are also two Penthouse units (shown in main picture) that are now available as well with 115m2 (1,237sqft) and priced at only $174,900! All units will be finished to a high standard of finishings on both the interior and exterior areas. The interiors will feature high quality ceramic tiles, kitchens with granite countertops, and beautifully finished bathrooms. Santa Marianita (aka Kite Beach) is a beautiful little oasis located just a few minutes outside of Manta with a laid back chill beach vibe that you have you relaxing in no time! Walk to local easteries with some of the best and freshest seafood around, or just relax on the beach and watch the kite boarders take to the air! Contact us right away to secure yours! Large 3 bedroom beachfront Ibiza under market! !